The strokes that damaged my mother’s mental capabilities left her physically intact. Her doctors and therapists never told my parents that she would fully recover, but my parents chose to believe that with a time of rest, life could return to normal. She was a bit wobbly, her voice gravelly. My father absorbed her household responsibilities and went back to his normal activities. Vascular dementia had changed their lives, but had not stopped them. She fell off a chair while alone, re-injured an old back problem. Living hours away, my brother and I were not immediately helpful in each crisis. With experience in hiring day care providers, nannies, and housecleaners, I inserted myself in my parents’ situation. I’ll admit I was long on solutions and short on empathy. My father was capable of making decisions and determined to keep their life intact. I heard his refusal to make changes as his denial of reality, not his emotional pain. Adult day care during the early days gave my father time off, but frightened my mother. Clients were clustered by broad needs. There were wanderers and moaners in her group while she was fairly lucid. Crafts and current events discussions were important to her so she put up with the scary time. One day she was attacked and never went back. Volunteers were great for short spells, but my mother became anxious around strangers. She sometimes locked herself in the bathroom until my dad came home. Family was always preferred. They sold their home and moved into a seniors’ apartment building near my brother. As the dementia deepened, she began exhibiting unpredictable violent behavior. When my father was hospitalized I came to stay with her. On the third night she threw a plate of food at my face, cut my sweater sleeve with a knife, kicked me in the chest as I untied her shoes. We had to hire a nurse to stay with her who could also administer medications. My father wanted to be back in their hometown. He bought a condo and hired home care providers. These wonderful women gave my parents great peace of mind. While very expensive, this provided our most peaceful year. When my brother died, a handful of these people helped keep both of my parents healthy and safe. Neither of my parents did well during the time she stayed in a nursing home following another surgery for my father. She was left on her own, frequently missed meals and sat alone in the lobby. He brought her home and added extra shifts of home care providers. When her condition deteriorated, they both moved into a memory care facility. The security of locked doors and routines comforted her, but she never connected with the often-changing caregivers. For my competent father, that year was difficult. Hearing my friends’ stories, there are no road maps to smooth out the journey of caring for loved ones with dementia or Alzheimer’s. Our family had financial resources that made some segments easier than others, but we all shared in the stress. All of us also shared in some form of loneliness caused by the disease. That will be the topic of my next blog. You might sit next to a charming senior couple at a restaurant. The husband is so gentle, helping his wife settle in her chair, ordering for both of them. He does most of the talking during the meal, frequently touching her arm. You sneak a closer look at the two of them, her somewhat vacant eyes send a chill down your spine. The essence of this woman is disappearing into some form of dementia. 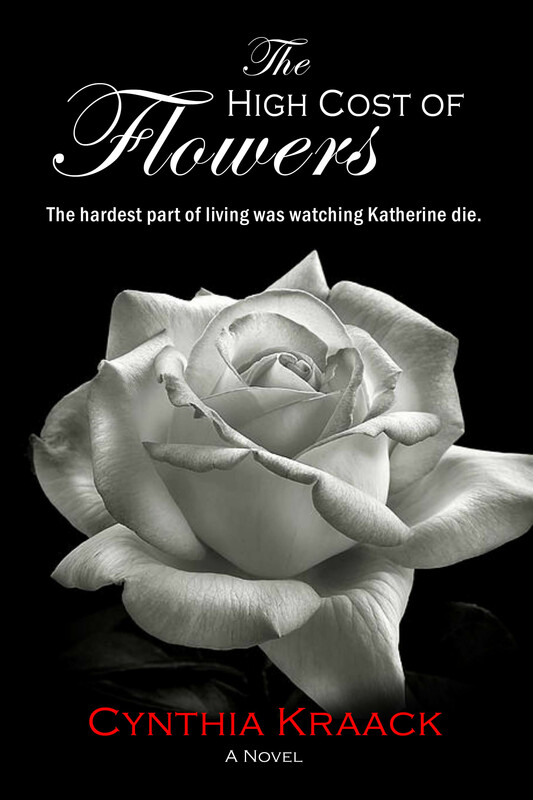 The High Cost of Flowers, my latest book, began its existence in 2004 as a short story named “Watching Katherine Die”. Our family was in its fourth year of dealing with dementia. My mother, the woman who wore a long black satin skirt, ruffled blouse and diamonds to serve Christmas dinner in a modest Green Bay home, had a series of strokes. Writing about the Kempers was far easier than looking back at reality of our experience. Sharing the real story isn’t easy. Family stories seldom start and end without a few bumps. This is the first of a few blogs about how dementia impacted us. My mother developed high blood pressure in her thirties. In her seventies, medication wasn’t working. In incidents that could have been caused by a series of mini-strokes, she hit the side of the garage with her car, was injured by an armored truck when stopping her car in the wrong place, couldn’t remember the way home from her hairdresser. On Thanksgiving day, she had emergency cardiac bypass surgery. She sat at the table in a wheelchair that Christmas. No satin or diamonds as we ate from decorative disposable plates. We didn’t know what was ahead, just that we were together. A serious stroke in spring set the path for her vascular dementia. Her light feminine voice turned gravelly. While she could perform most physical tasks independently, dimmed eyes let the world know my mother had changed. This was no longer a woman in control. Neither of my parents accepted her fate. They were angry at the medical community, at God, at the world. She directed her anger at my father. He put our numbers on speed dial and let her call whenever she tired of berating him. They were afraid that life would get even worse. Their fear amped up any physical issue and turned even a standard doctor visit into drama. 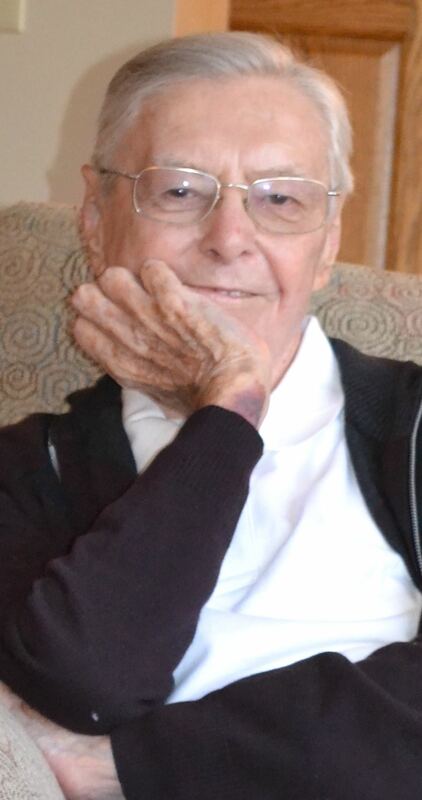 My father had health concerns and her needs would expand over the years. Both my sibling and I lived hours away, which made it difficult to know what was serious and what was fear. For eight years, the extended family life was filled with stress and anger. Mom felt none of us cared. Dad felt abandoned and overwhelmed. My sibling and I had spouses, children and management careers. We fought with our spouses about appropriate responses to my parents’ weekly demands for our time, struggled to balance caring for young kids with the older generation’s hunger for attention, developed our own health problems. We fought with each other about who was doing more. Our children learned to be quiet when tensions were high, to be patient with Grandma and not complain about family vacation days spent sitting inside at their grandparents’ house. Living with a person with vascular dementia is living in a difficult, unpredictable and stressful situation for an unknown amount of time. Some days might be good, other days will be bad. Weeks and months turn into years. Stress does its own damage when unrelieved. My sibling died first, then my mother, then my father. I try to be gentle in my memories and treasure the times we laughed together. We really did try our best to manage through difficult times. We made good decisions and bad. That’s another part of the story. Diamonds to Dementia: Part 2 – Searching for Care will be posted by February 1.